Designers at Apple spent months time and considerable effort to create the perfect sound heard when gliding the new Magic Mouse 2 across a desk —a small but crucial element of the product, and yet another example of how the company focuses on all details. Apple gave a rare glimpse into its design process by opening up the doors to its Input Design Lab to journalist Steven Levy. The resulting feature published by Backchannel goes into detail on how Apple's latest products unveiled on Tuesday —including an iMac refresh, Magic Mouse 2, Magic Keyboard, and Magic Trackpad 2 —all came to market. And while the new Magic Mouse 2 appears externally to have the fewest changes of the new accessories, Apple had to completely redesign the internal components to give the Bluetooth accessory a rechargeable battery. That process, though, drastically changed the sound the mouse makes when a user moves it. By changing the foot architecture and mass of the Magic Mouse 2, the "friction characteristics of the sound" were modified, according to Kate Bergeron, Apple vice president for Ecosystem Products and Technologies. Apple's designers just weren't happy with the new sound, and spent months working to fix it. "They all make a noise— the question is getting a noise we like," John Ternus, vice president of Mac, iPad, Ecosystem and Audio Engineering told Levy. "It sounded... not right." Fixing the problem required advanced machinery inside Apple's labs capable of testing seemingly any scenario imaginable. In examples cited by Levy, Apple has machines that measure the friction a mouse will experience on different types of surfaces, and machines that can pinpoint exactly where a noise is coming from with a device. 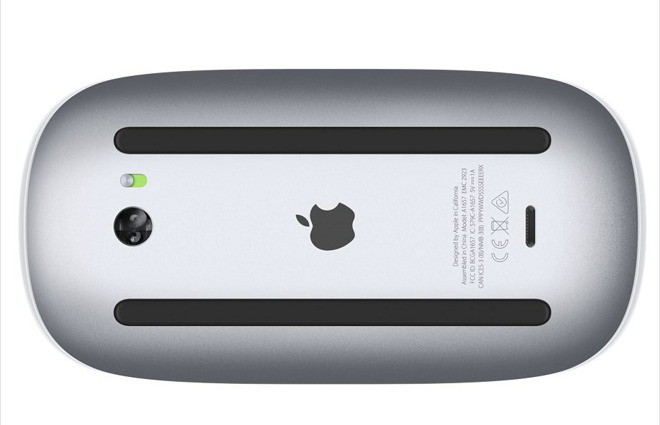 Apple found that the approach used on the first-generation Magic Mouse didn't work for the new Magic Mouse 2. The company reshaped the "high density polyethylene feet" on the wireless accessory, causing less surface contact as the mouse glides. A similarly detailed process went into development of the new Magic Keyboard, as Apple's team revealed that one prototype of the device featured larger keys. Bergeron admitted to Levy that that design may have been "more extreme than it needed to be." Apple says the Magic Mouse 2 features a lighter and sturdier construction, and it describes the accessory as having a "smoother glide" thanks to an "optimized foot design." Of course, that's thanks to the work of Bergeron, Ternus, and the team at the company's Input Design lab. The Magic Keyboard, meanwhile, features a full-size design while taking up 13 percent less space than its predecessor. It also features a new scissor mechanism on the keys, which are adorned with Apple's new San Francisco font. They are joined by the new Magic Trackpad 2, which does allow for Force Touch input on Mac desktops. All three also feature Lightning ports for recharging their internal batteries. The Magic Mouse 2 is priced at $79, the Magic Keyboard is $99, and the Magic Trackpad 2 is $129.